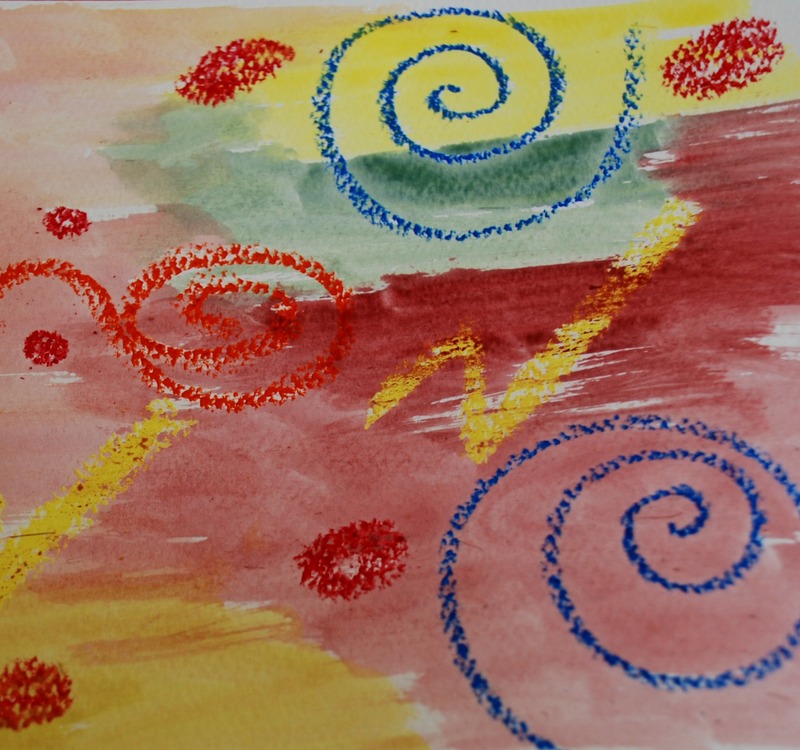 Lots of our art lately has been doodling and having fun with whatever is on hand. 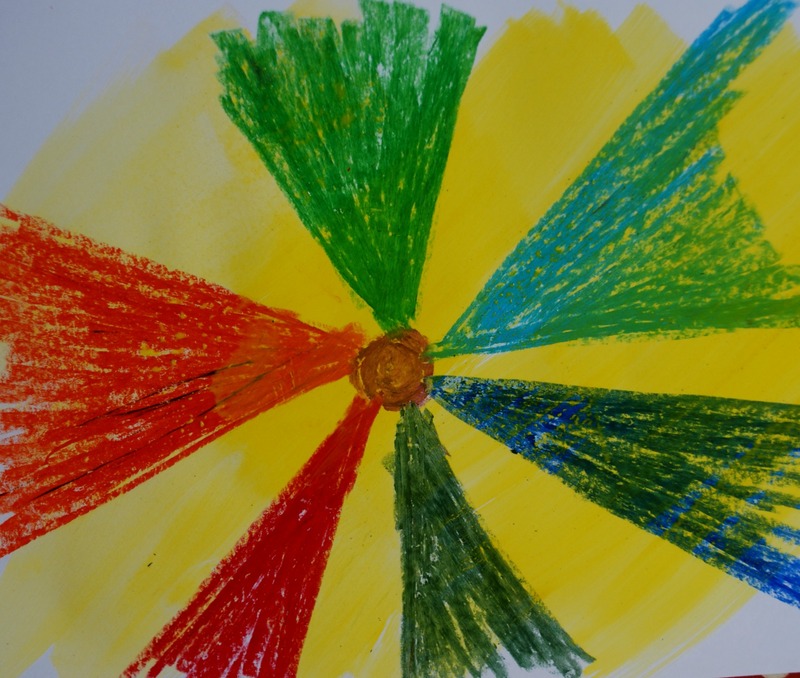 I recently explain to my daughter that art does not mean that you have to create a realistic image it can also be shapes and colours and just whatever inspires you. This has actually been a challenging idea for my daughter as she likes to get everything “just right” and with this there does not seem to be a right way. One of the ideas that we have been playing with and which had some fun results is this. 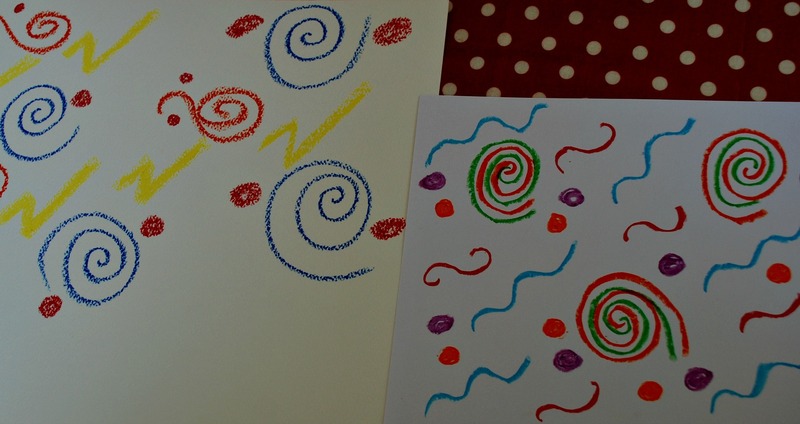 We start off with our oil pastels just doodling or making patterns on either card or water-colour paper. Then we paint over the oil pastels with our water-colour paints. I think the end result is great. 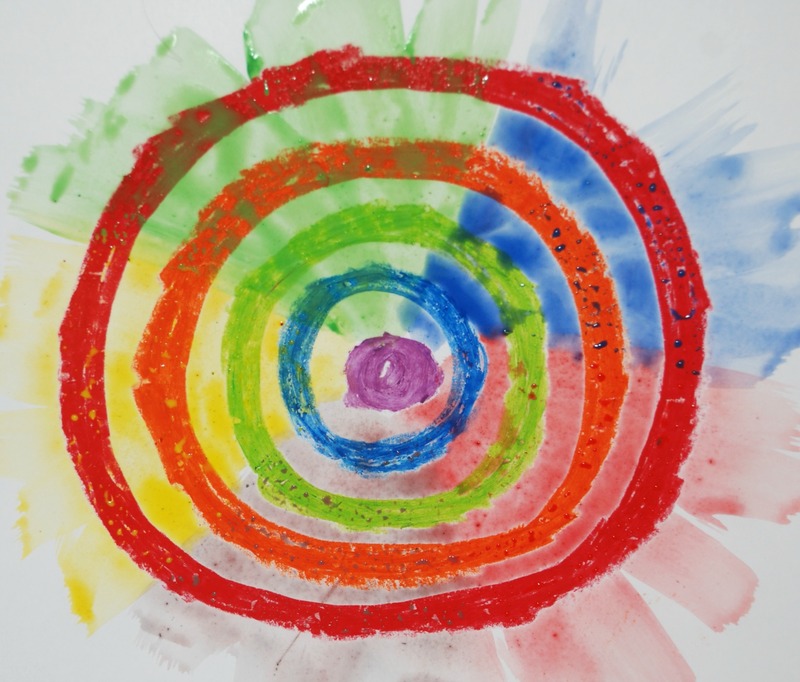 It is a simple fun art activity for young kids and they get to experiment with mixing mediums. 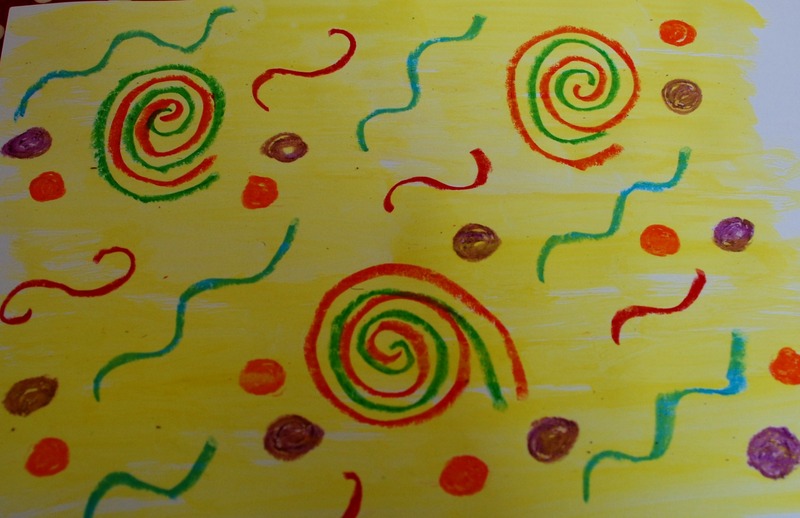 This entry was posted in Art and Craft Ideas and tagged art, children's craft, home ed, homeschooling, Kids oil pastel, oil pastels and watercolours. Bookmark the permalink. I like the idea of just being able to color whatever one wants rather than trying to make the ‘perfect’ picture!! Thanks for sharing at our FB Share Day!